Built to keep shining on. 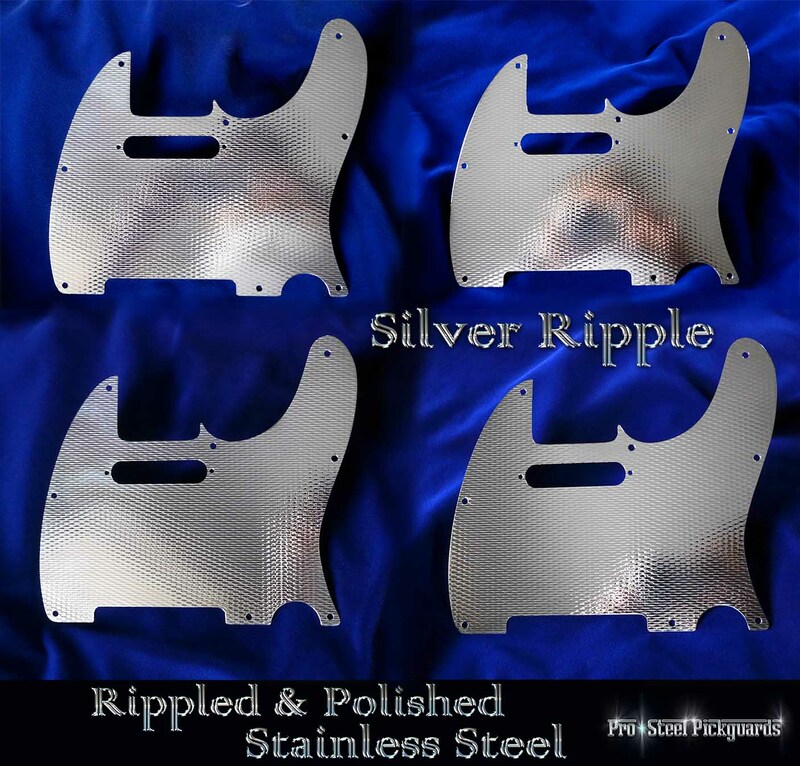 Small smooth ripples enhance polished stainless steel. Has a cool shimmering reflection of lighting as the guitar moves angles. 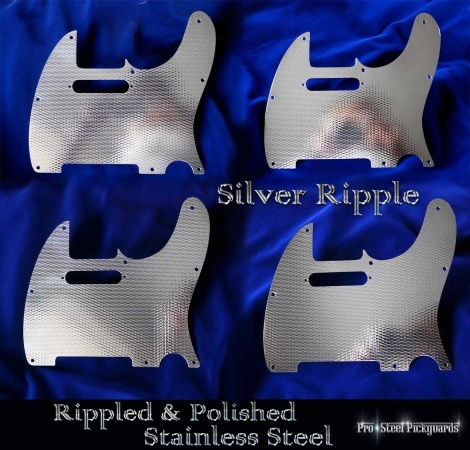 Very durable surface for aggressing playiing styles and will last as long as your guitar.